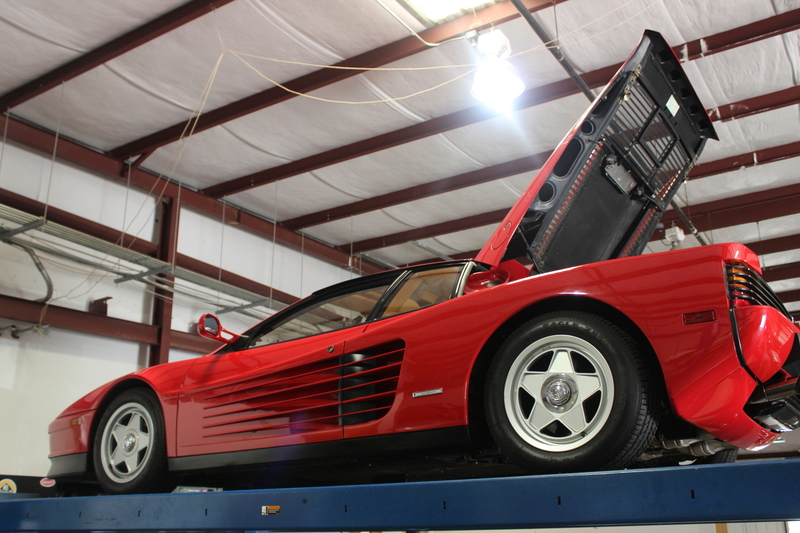 Caring for an exotic vehicle is often a time-consuming and meticulous process. Especially for new collectors or luxury car owners, it’s also a process that typically needs guidance and understanding, as they are not your typical cars; they are powerful, intricate machines that need specific care and attention. One of the most important services performed on vehicles of this caliber is a timing belt service. Below are answers to some of the most common questions when it comes to servicing the timing system. 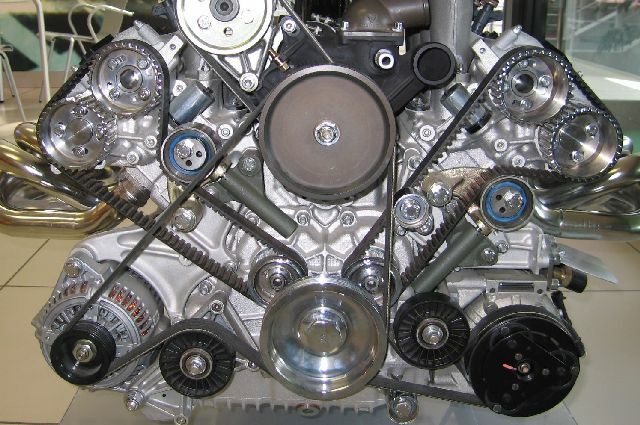 A timing belt, timing chain, or cam belt is a part of an internal combustion engine that synchronizes the rotation of the crankshaft and the camshaft(s) so that the engine’s valves open and close at the proper times during each cylinder’s intake and exhaust strokes. In other words, a timing belt is a critical component of an engine and controls the timing of the engine’s valves, that if failure occurs, could cause catastrophic damage to the entire engine. The potential for disaster can easily be avoided by replacing the timing belt within the manufacturers recommended time and/or distance replacement interval. Timing belts control when valves open and close. If they stretch too much or break, valves open when piston comes up, bending the valves–leading to catastrophic engine failure and the need for a complete rebuild of the engine. When replacing timing belts, care must be taken to ensure that the valve and piston movements are correctly synchronized. Failure to synchronize these movements can lead to problems with valve timing, and in extreme circumstances can cause collision between the valves and pistons. Correct belt tension is also critical. If the belt tension is too loose, it will whip and if the tension is too tight, it will whine and put excessive strain on the bearings of the cog. In either case belt life will be dramatically shortened. The timing belt replacement interval coincides with, and is usually part of, a scheduled maintenance. These maintenance services typically occur every 60 months (this can vary somewhat for each individual car depending upon your cars specific maintenance schedule). Why do timing belts need to be monitored and changed frequently? Preventative maintenance. Timing belts are made of rubber, which break down over time due to heat, mainly. Given the amount of heat associated with the front of a car engine, these rubber belts will experience wear and tear. Because the timing system is crucial to an engine’s functionality, you can never be too cautious when it comes to maintaining its inner-workings. With proper maintenance, it is unlikely that you will experience problems with your timing belts or timing chains. How often should a Ferrari have a timing belt service done? For whatever reason, when it comes to Ferrari, there is a lot of debate around when the timing belts should be serviced, how frequent, etc. Despite the recommendation coming directly from the manufacturer, people seem to doubt its credibility. The most common argument being that timing systems on “normal” cars (your everyday drivers) can last up to 10 years, so a Ferrari shouldn’t be any different, Ferrari is trying to steal your money, etc. We’ve got news for those people: Ferraris are not “normal” cars, they are complex machines, so they should be maintained as such. Preventative maintenance is crucial in order to avoid a $20,000-$30,000 engine replacement or rebuild. These intervals vary, as every model is different, so it is always best to review the owner’s manual, as that is the suggestion directly from the manufacturer. Generally, every 60 months for the following models: Ferrari F348, Ferrari F355 Berlinetta and F355 Spider, Ferrari 360 Berlinetta and 360 Spider, Ferrari 456, Ferrari 550 Maranello, and Ferrari 575 Maranello.